In Kakaako - Honolulu, Hawaii, our pets hold a special place in our hearts so it comes as no surprise that our community has a lot of resources and services that are geared towards the care and wellness of our beloved pets. This community's dog park is a favorite spot among residents and visitors. It is the perfect place to bring their pets to unwind, play some catch or even meet fellow dog-owners. 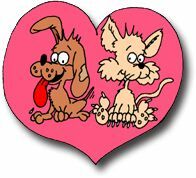 If you are looking for various treats and supplies for your pet, look no further. Kakaako has a lot of great retailers that sell products that cater to your pet's needs. Busy individuals can also rely on responsible and dependable dog walkers, sitters and trainers within Kakaako. We also have a lot of quality and professional pet grooming services that both residents and visitors alike frequent. And should your special friend be in need of medical attention, Kakaako has numerous Veterinary Clinics and Hospitals that you can go to for assistance. 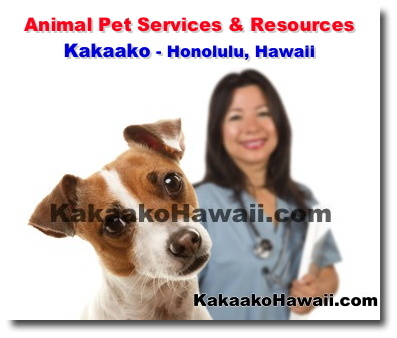 Check out our list below to get to know more about our Pet Services and Resources in Kakaako - Honolulu, Hawaii. Copyright© 2014 - 2018 KakaakoHawaii.com. All rights reserved.